[The Art of Theatrical Design]… is one of the best, most comprehensive looks at theatrical design that I have come across. It is a perfect book for a beginning designer; chock full of new terms, information, exercises, examples, and illustrations. Chapter 1 – What is Design? 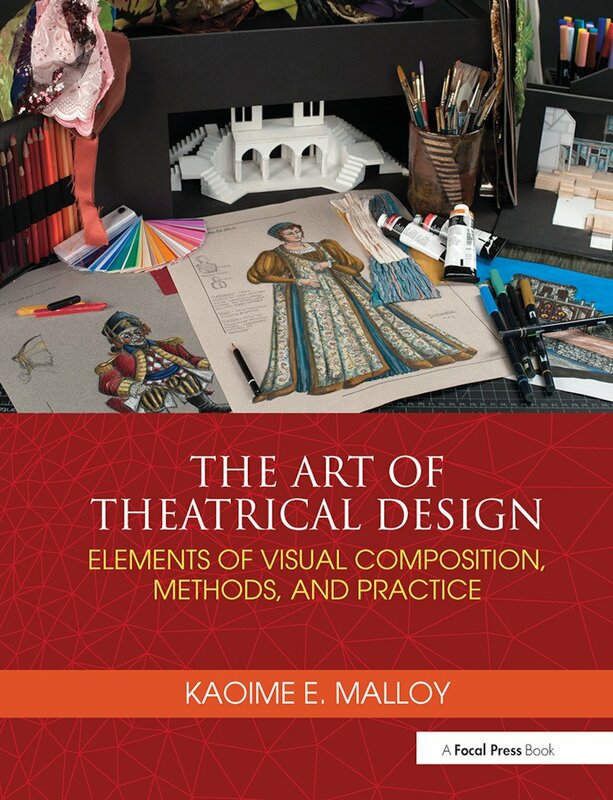 Kaoime E. Malloy is an Associate Professor of Costume Design for the University of Wisconsin Green Bay Department of Theatre and Dance, where she teaches Costume Design, Stage Makeup, Costume Technology, Introduction to Theatre Design, Understanding the Arts, Fashion History, Costume Crafts,and special topics in design and technology. A member of United Scenic Artists Local 829 and IATSE, she freelances as a theatre designer, makeup artist, and technician throughout the United States.